I would always recommend that they don't rush in and buy the first one they see, particularly on eBay. Study the market / selling prices. Sod's Law states that no sooner than you've bought an example you thought you were happy with, a much better one will come along ! So what did I do ? I rushed in and bought the very first stainless 7A38-7000 I ever saw. Indeed, these photos from the original eBay listing were the first I right-clicked and saved. But sometimes you know instinctively when something is 'right' .... or perhaps if I'm honest, this was a case of 'Beginner's Luck'. 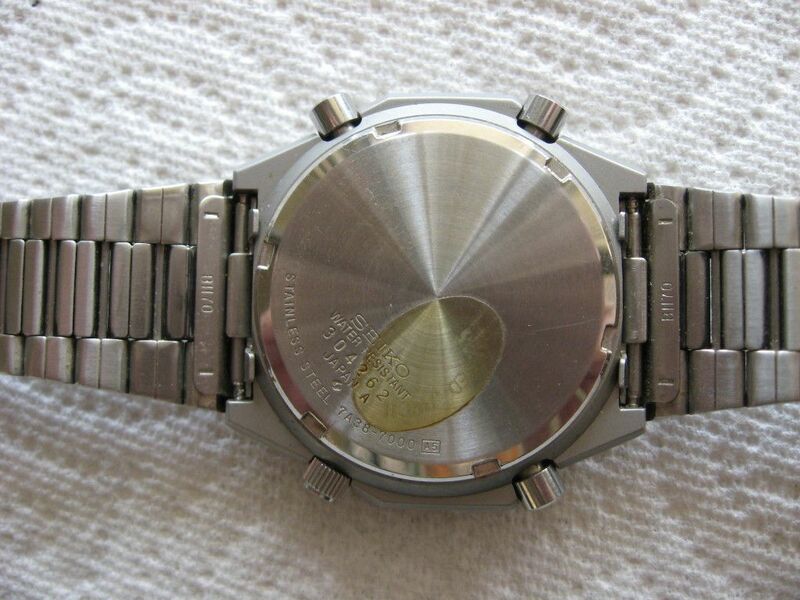 Looking at the eBay listing photos again, one can clearly see the watch had been worn. 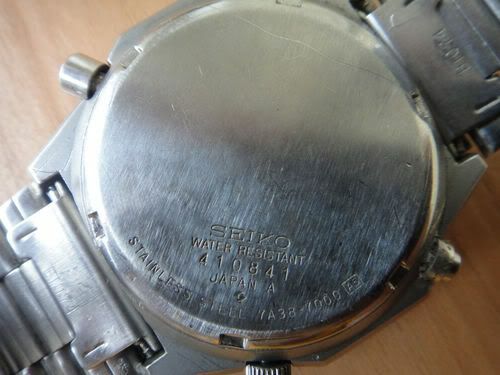 There was some grubbiness around the case; the JWC inspection sticker is discoloured; there are a few minuscule scratches on the crystal and top edge of the bezel, near 2 o'clock and light 'desk diver' marks on the SQ clasp. 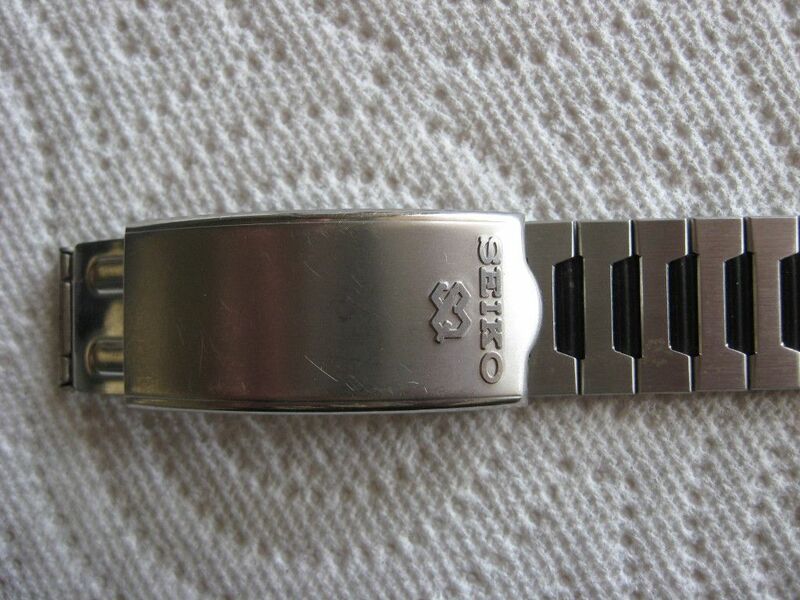 (I have a spare NOS SQ clasp that I may fit at some point). But otherwise I think it could justifiably be described as 'near mint'. I remember the eBay auction well, although it has long since disappeared from eBay history. It was eBay item # 150332038837 which ended on 16th March 2009. 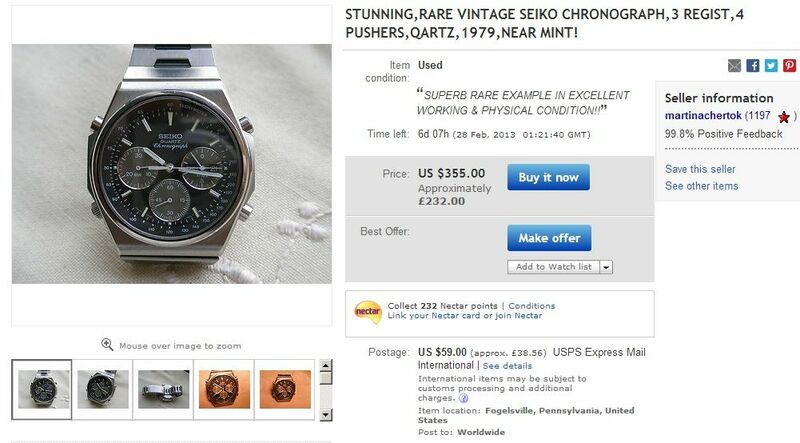 The US-based eBay seller's ID was 'winning-deals'. Unfortunately (more like the complete opposite, as it turned out), this person was another of those short-sighted US eBay sellers (and there are still a good many out there) who resolutely refuse to ship outside CONUS. So I enlisted the help of an American friend - someone I'd known through another internet forum, but never met, to bid on it for me. We won it for a mere $116.50 - which is 'peanuts' compared to today's ridiculous asking / selling prices. Indeed, it was undoubtedtly due to the fact that this seller was blocking bidders from outside the USA that 'we' won it relatively cheaply. Had it been listed with worldwide visibility (not just eBay.com) and available to international bidders, it might have made rather more. Space reserved for more photos of my 7A38-7000. Reserved for Specification and Buyers Guide. 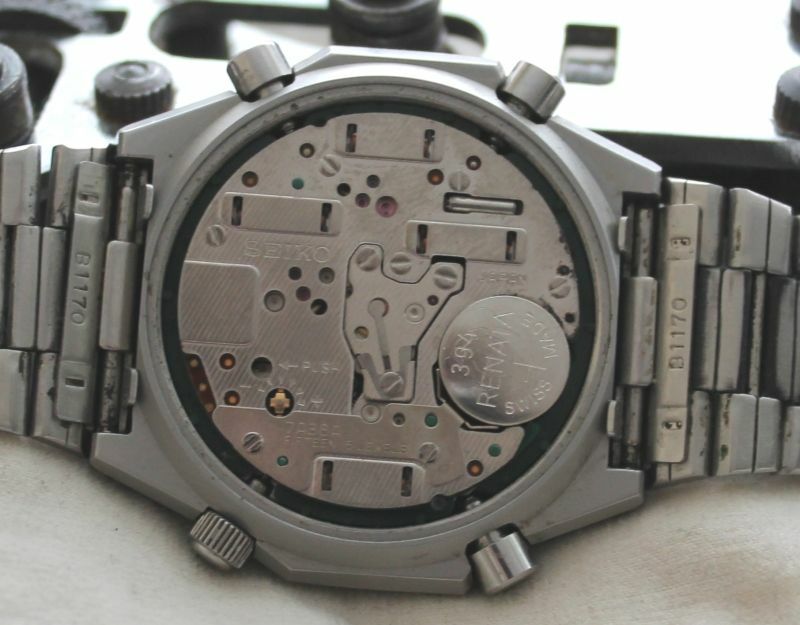 Fully working, all hands return to 0 and no wear to button mechanisms. 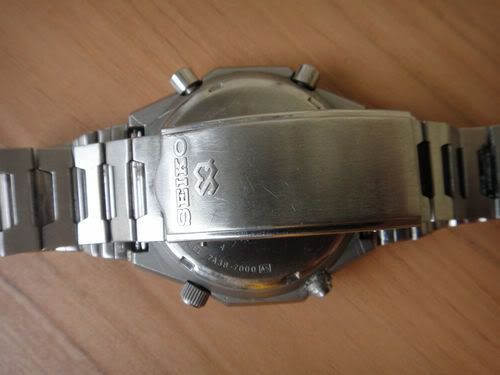 Lovely example of this model of watch. Great condition for its 30 years or more on this planet. 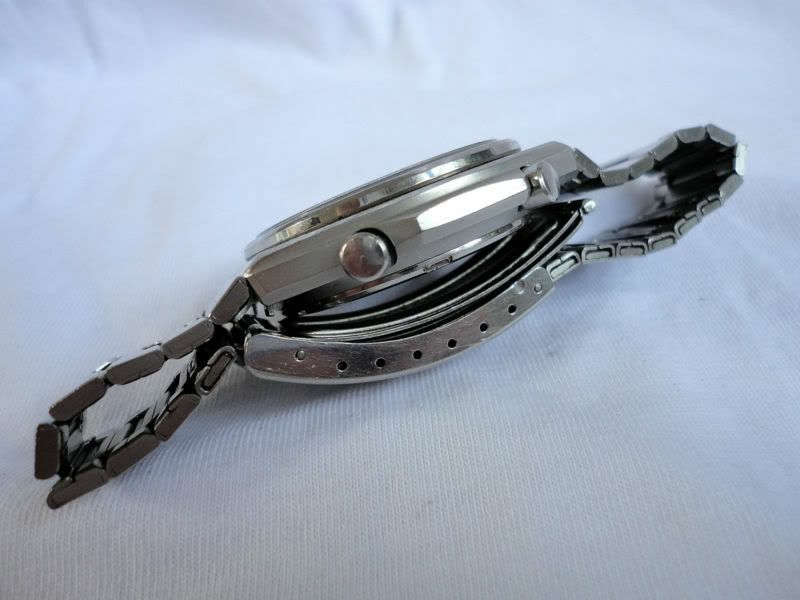 Original Stainless steel strap with matt black centres. Original crystal, original black face and hands. Very sad to see this go. 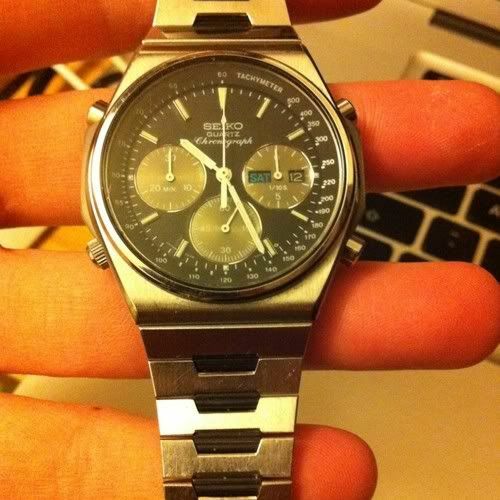 This watch has such an amazing reassuring click to its buttons that no Casio bleep can rival. 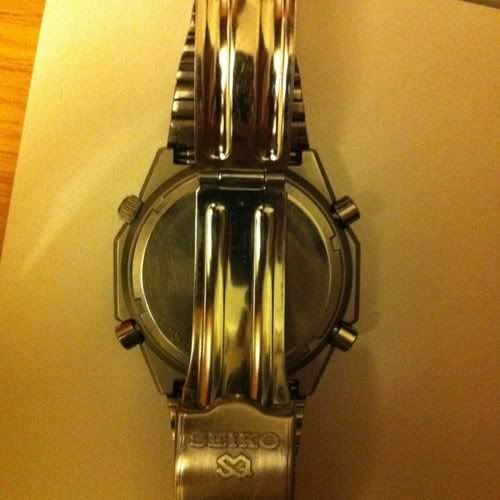 Sold on 21st January, 2012 for £180 after 11 bids - purchased by a member of this forum. FOR ALL CONDITION LOOK AT THE PICTURES. I SELL AS IS. The bracelet wasn't original, although it might have looked vaguely correct. The seller didn't actually claim it to be in the description. It appears to be a p/n B1074S off a 7A28-7039, rather than the correct p/n B1170S, and was minus the black-painted inlays of both. It sold on 7th March, 2012 for only $82.99 (approx. 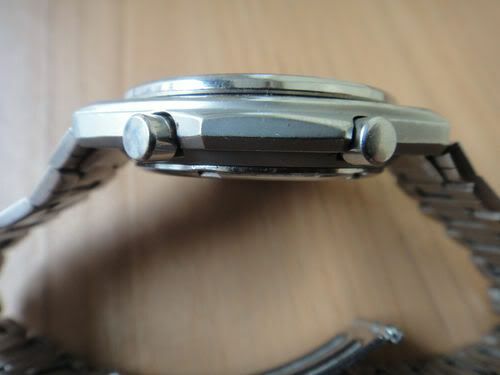 £53) after 8 bids - a reflection of its overall below-average general condition. 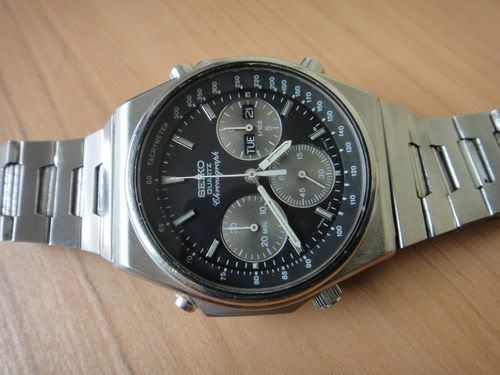 The auction (on eBay Germany) ended on 13th March 2012 at 86.01 Euros (approx. £72.39) after 14 bids and 375 views. Potentially, it looked quite a nice example in the seller's only listing photo, but perhaps that was what deterred other bidders. Although, compared to the previous, this seller included a full set of photos, he omitted any mention of 7A38 in title and description. 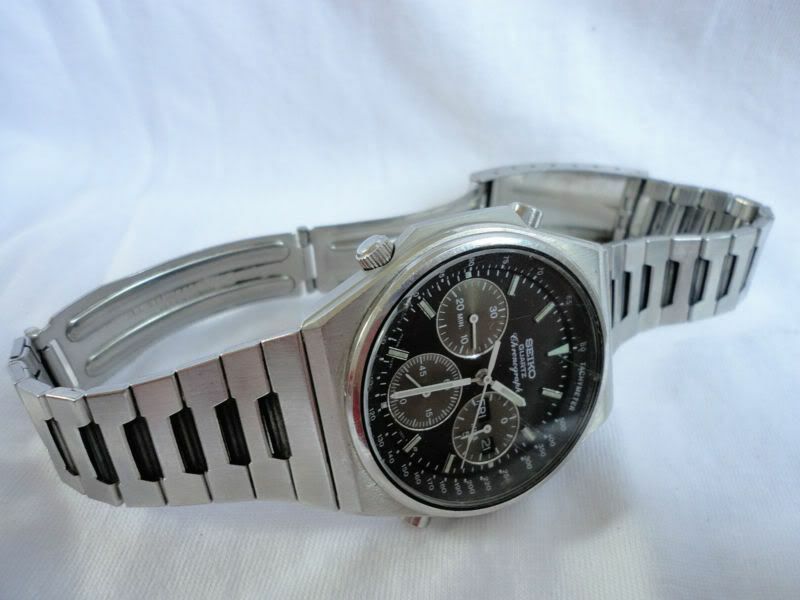 The auction ended on 15th March, 2012 around 7:00pm, yet by dint of what might be construed as shill bidding, this potentially lesser example achieved a slightly better price - 90.66 Euros (approx £75.29) after 20 bids by 11 bidders. Unfortuately 6 of the late-placed bids were made by a bidder whose ID shows as a***n, with a feedback rating of (-1) ! 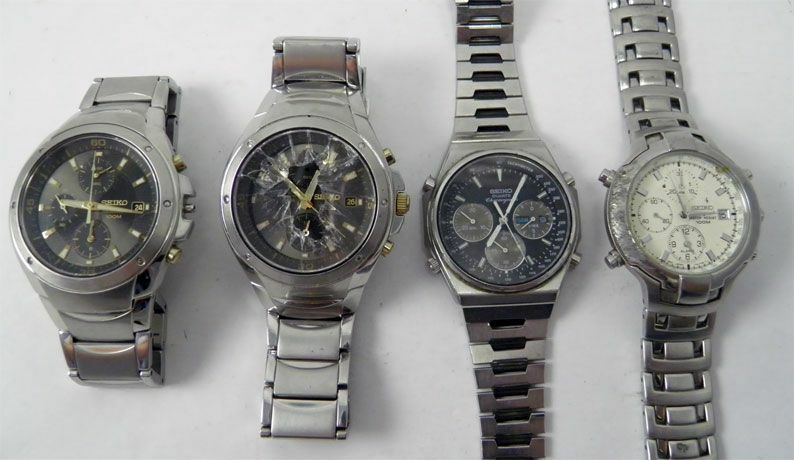 It's not uncommon to find these watches on eBay fitted with incorrect replacement bracelets. Recently, I've noticed a number of new visitors have arrived at the forum, and found this incomplete thread, from googling 7A38-7000. 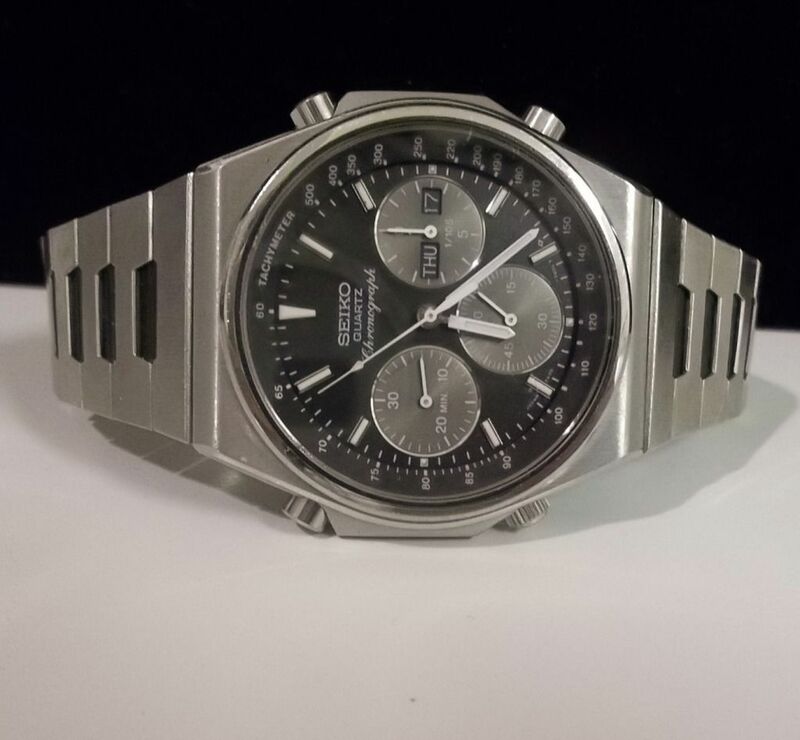 May I recommend that you try running a search on the 'eBay' forum section on 7A38-7000 for information on current eBay listings. excellent working condition which was only serviced 3 years ago. New glass added. 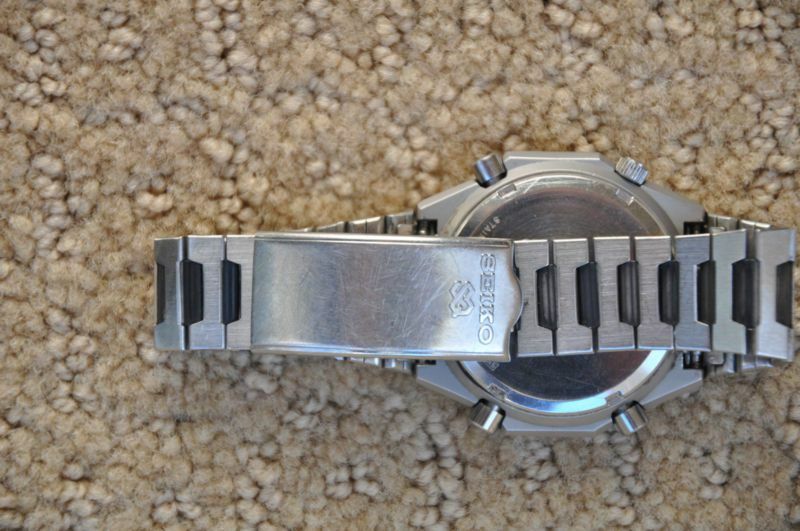 Case and watch in lovely condition, no damage. 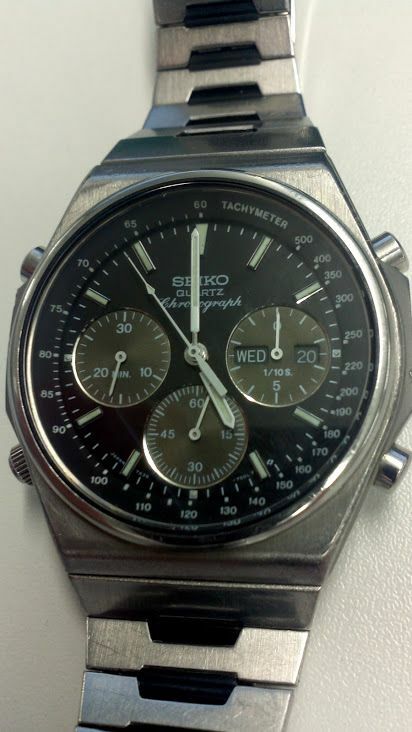 chronograph with day/ date. spare links. 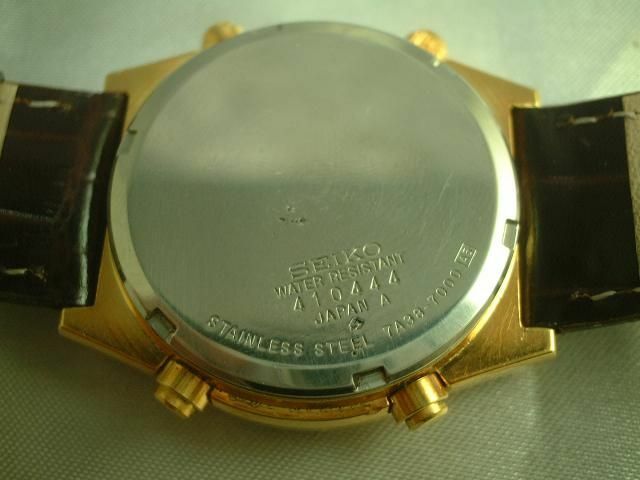 serial numbers : seiko water resistant 302851 Japan A stainless steel 7A38-7000 AS. 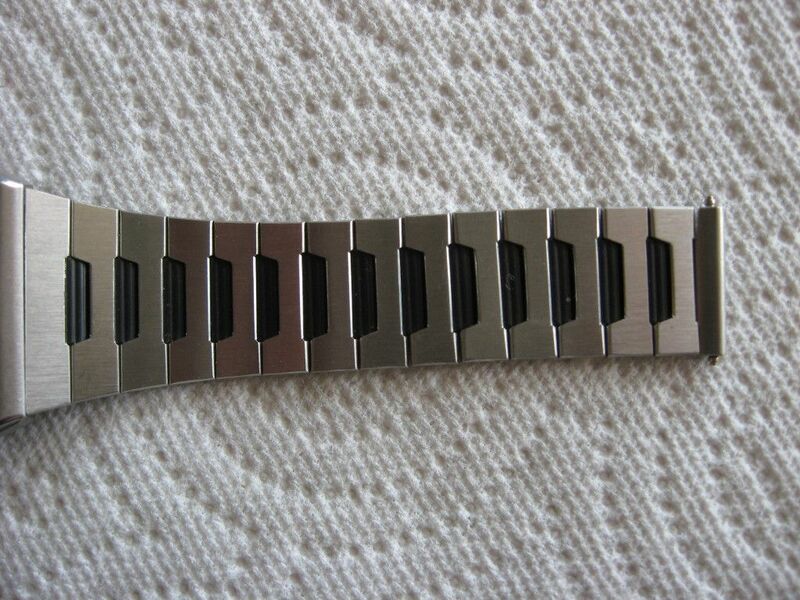 Band B1170. 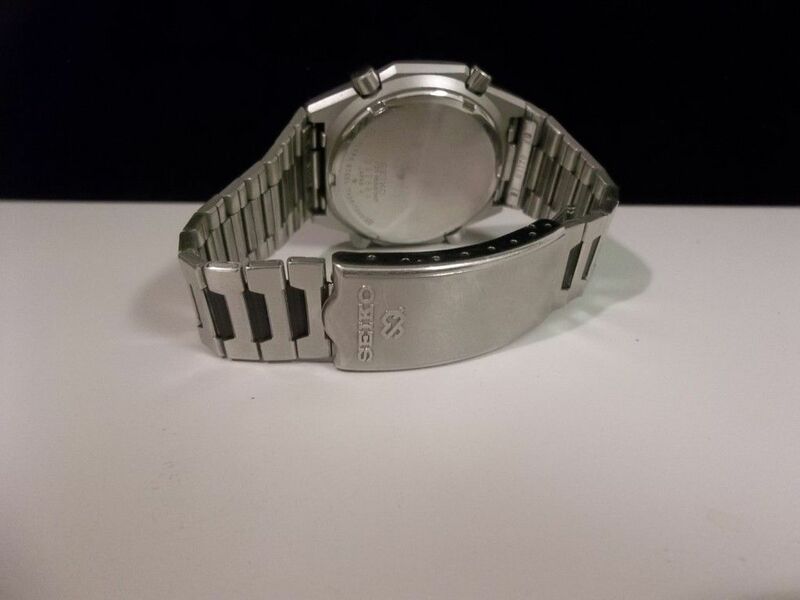 Sold for AU $187.50 (approx. £123.23) after 9 bids on 14th July 2012. 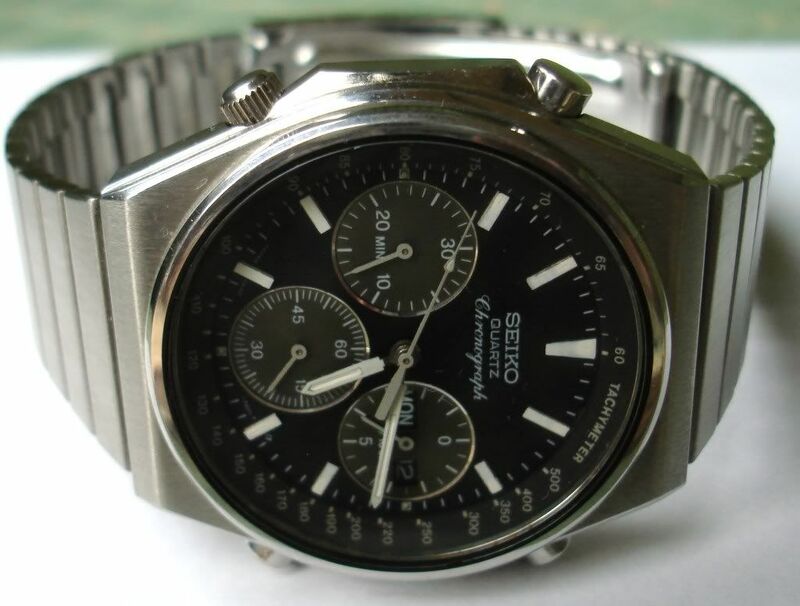 Over the last couple of years, I have seen a number of false claims of 'Military' provenance made for the 7A38-7000 by eBay sellers. From memory, the most recent claim (by association) being that made by 'Boring_Sandwich' back in April - see two posts previous. 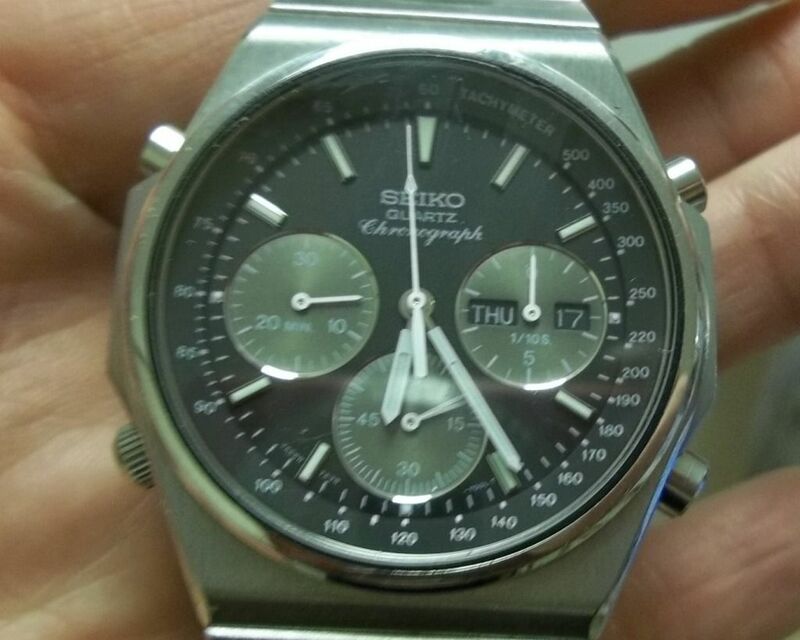 The watch was a 'head only' - missing its original Seiko p/n B1170S bracelet, with discoloured lume on the hands and dial batons. 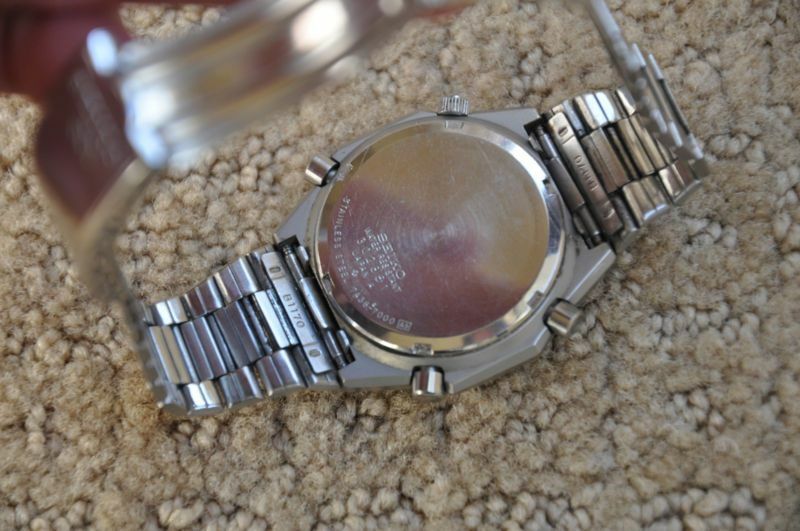 It had no additional military markings stamped on its case-back (at all); nor any evidence of ever having been worn on a NATO strap (in the form of the familiar rubbing marks they leave behind) - instead the case-back showed evidence of sweat-induced corrosion. The seller was asking $699.33 (approx. 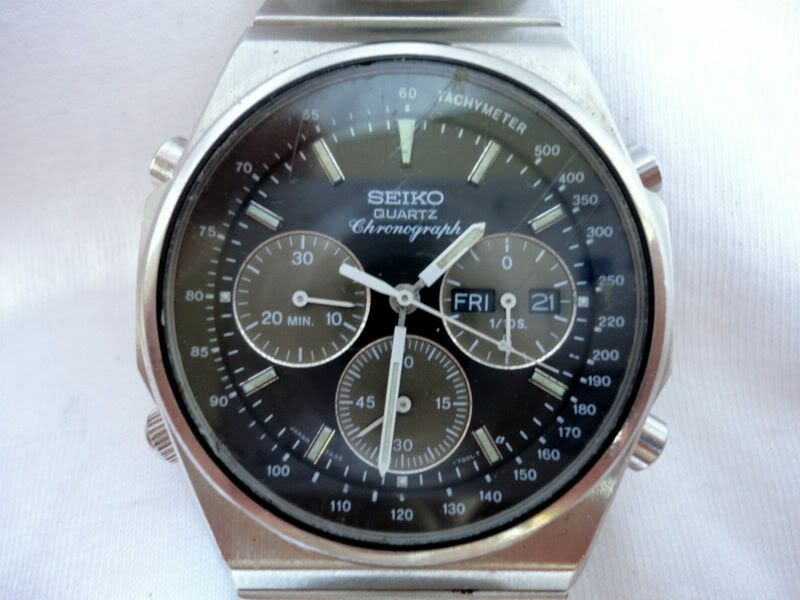 £432.65) for what was a pretty tired-looking example of a 'civilian' Seiko 7A38-7000. Konrad was feeling quite pleased with himself - he'd found what he believed to be a genuine MOD-issued 7A38 in a local flea-market. It didn't take long to spot and point out that this 'military' 7A38-7000 was fitted with the wrong case-back - off a 7A28-7120 RAF Gen. 1. Much to Konrad's disappointment, Dave and I put him straight. 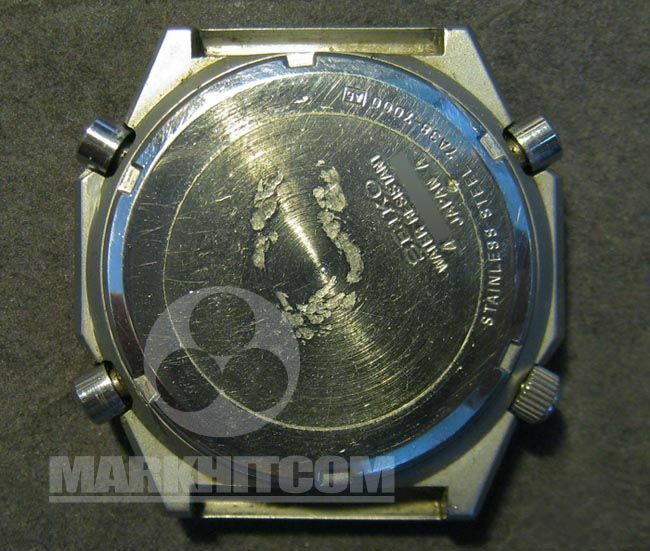 Note the NSN (NATO stock number) stamped on the case-back: 6645-99-7683056. That number is common to all issued 7A28-7120's. 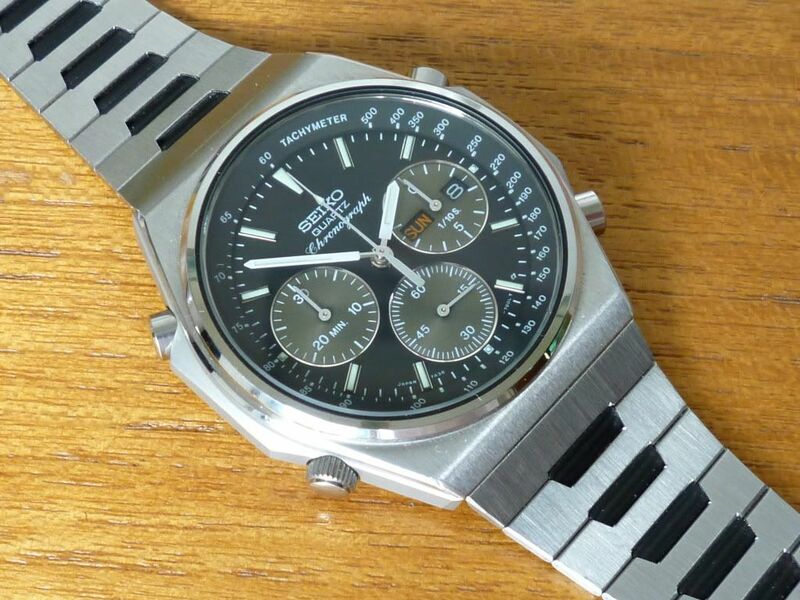 Now zoom in on the caption in the Japanese refence book: Seiko Chronograph Royal Forces [768-3056]. I wonder how many more copies of this book are out there in collectors / dealers hands. 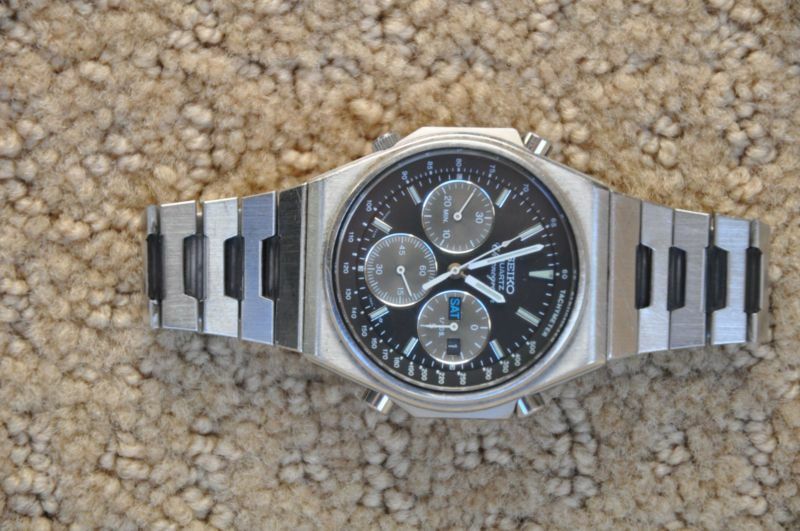 Be prepared to expect a few more 'military' 7A38-7000's on eBay anytime soon. 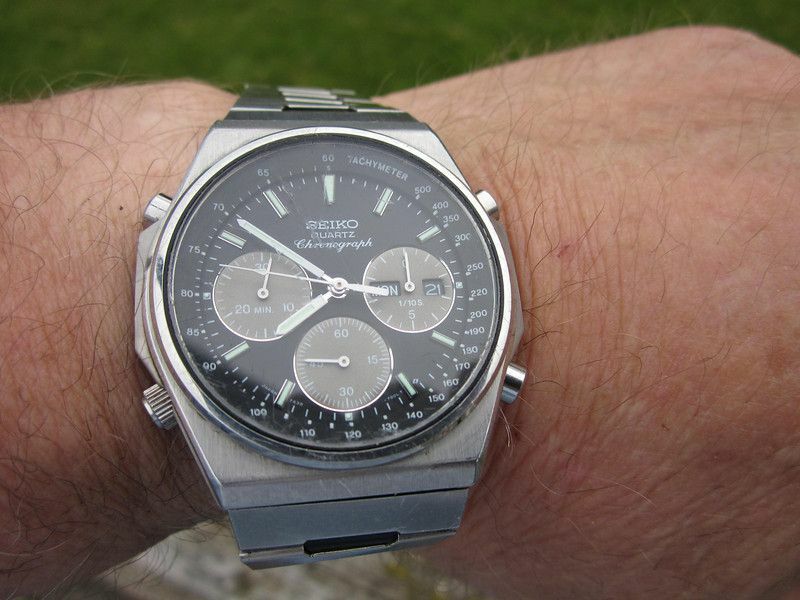 Surely Konrad would have been aware as the watch is a 7A38! Chris. At the time, Konrad clearly wasn't aware of how simple a matter it was to inter-change case-backs between 7A28's and 7A38's. 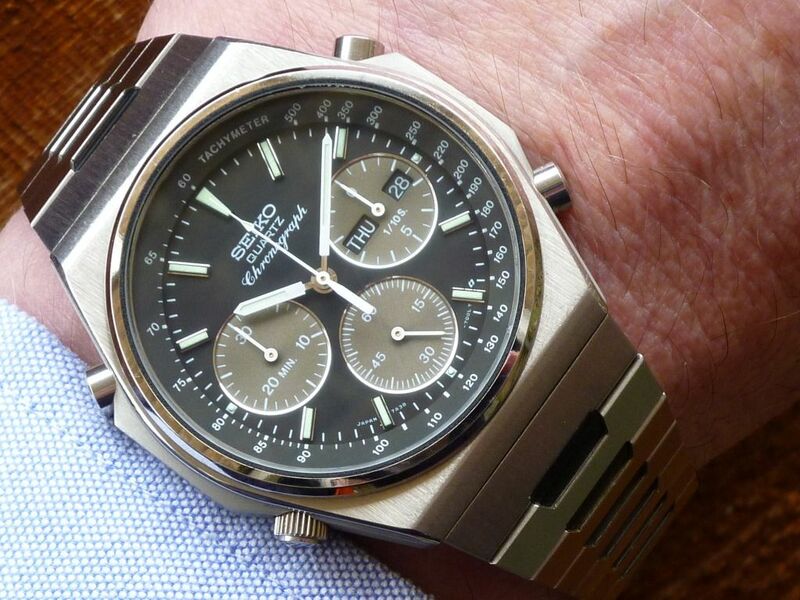 (Or for that matter, between virtually all and any Seiko 7Axx's). So it simply hadn't dawned on him. I emailed Konrad yesterday, and with his reply this morning, he forwarded back to me the original email set from 12th October 2009. Apart from Dave Swan and myself, I'd forgotten that Ned Frederick was also included in the correspondence. 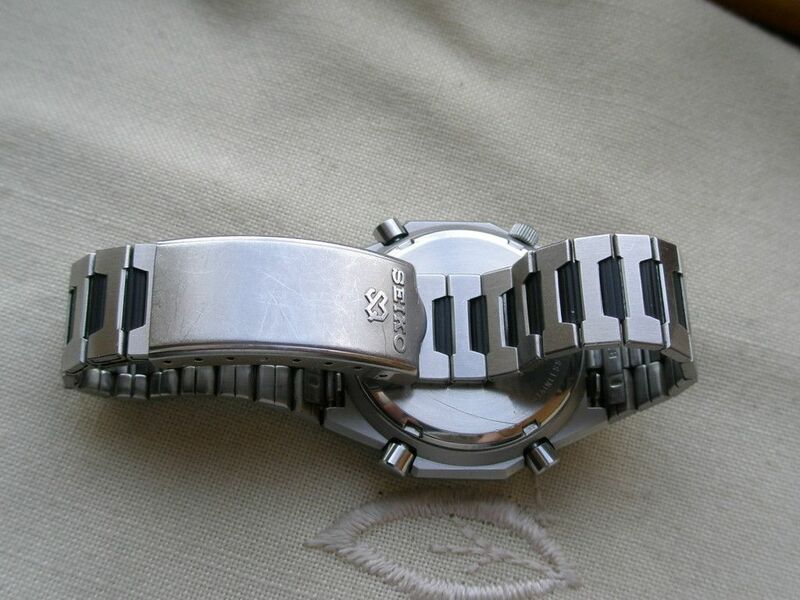 There Konrad openly acknowledged that his flea-market-find watch was, to use his own words a 'cobble-up'. I did not publish the photos anywhere as far as I remember. Who should this Japanese be, I think no!! 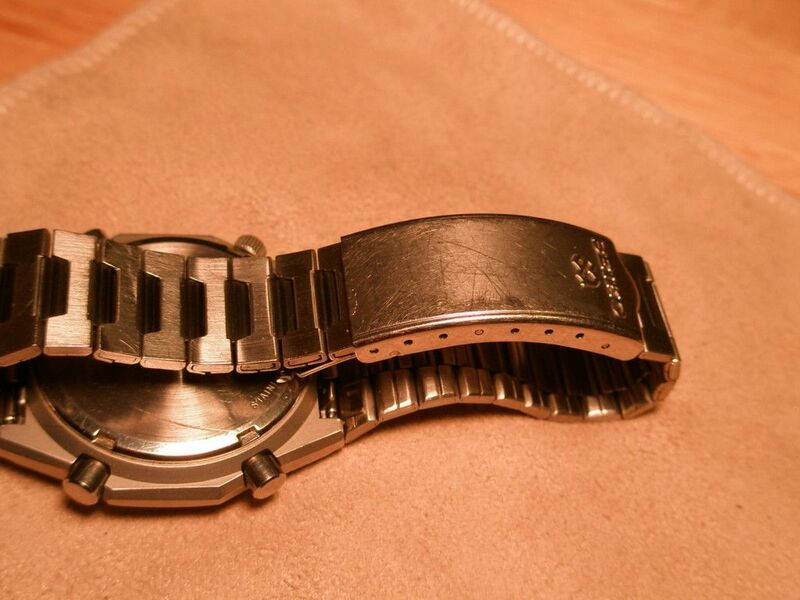 What is the problem, I still have the watch???? 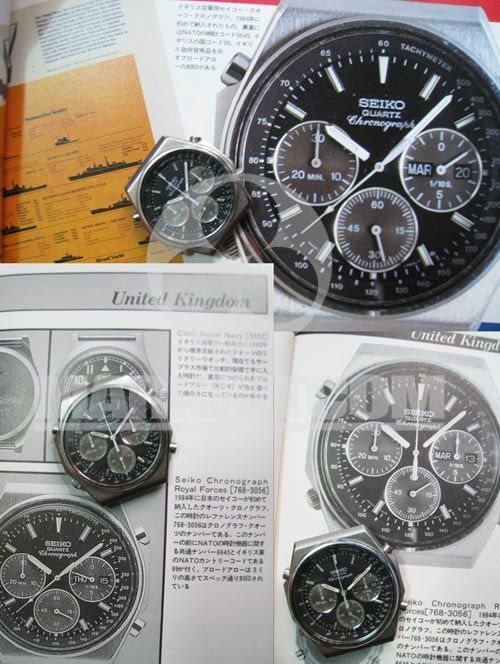 The booklet shown with this watch is Military Design by Kesaharu Imai from 1990 - i.e. much older than my acquisition! Don't bother, there is much ignorance out there! 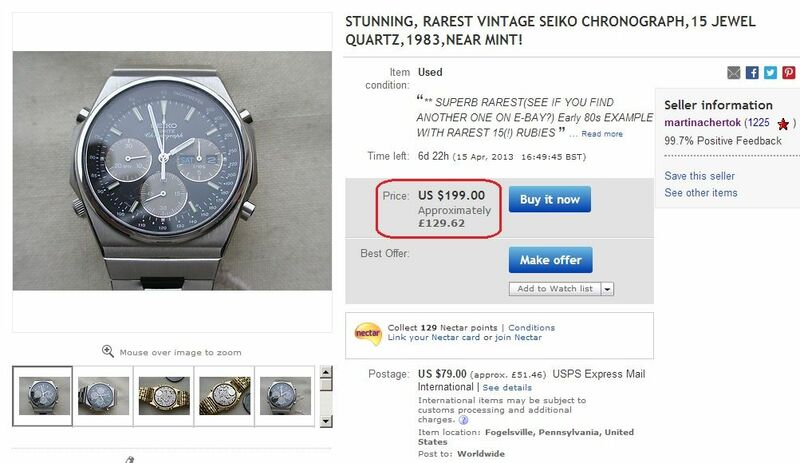 You may have noticed the eBay seller has since increased his original asking price from $699.33 to $1199.33 (approx. £740.65) !! Needless to say, the last time that 7A38-7000 was re-listed by the seller: http://www.ebay.co.uk/itm/181038195202 it went unsold. 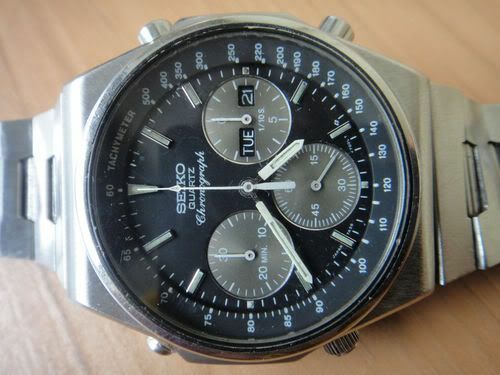 ESTATE VINTAGE SEIKO QUARTZ CHRONOGRAPH JAPAN 7A38 BLACK FACE MEN'S WATCH IN WORKING CONDITION. 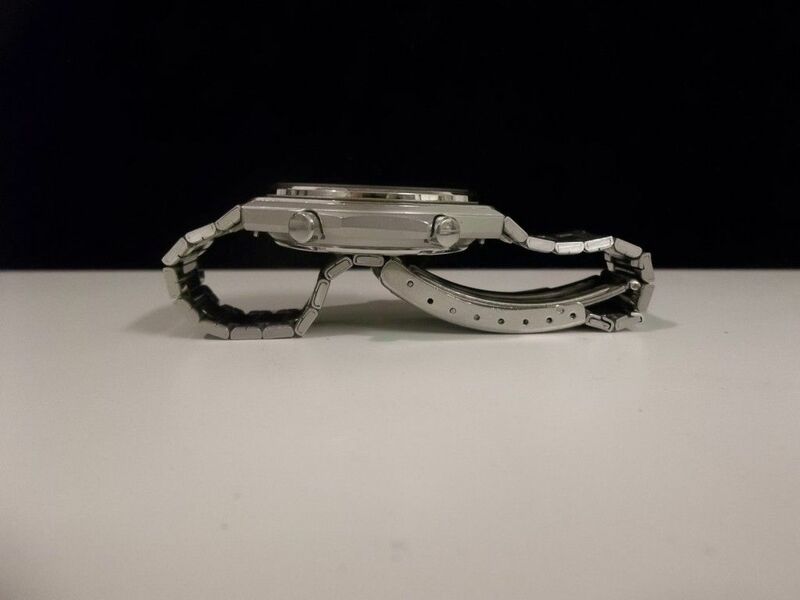 THE FACE IS 1 1/4 INCHES AND THE LOCKED BAND IS 6.5 INCHES LONG. 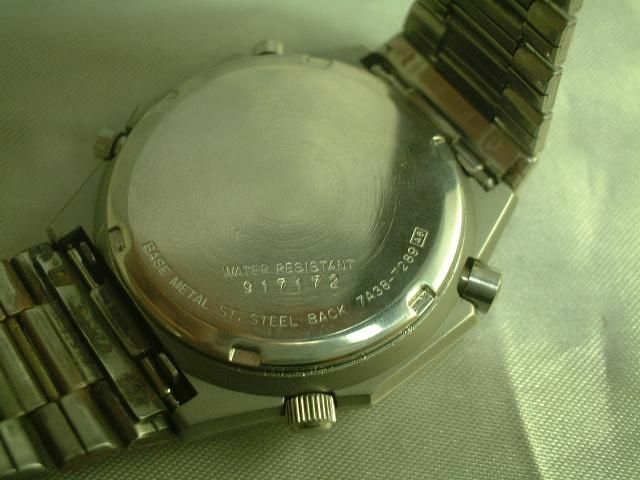 THE BACK MARKED: WATER RESISTANT, BASE METAL BEZEL, STAINLESS STEEL BACK, 5 ATM, JJ AND A CROWN MARK, BAT.377, 7268/69/70. VERY MINOR SCRATCHES ON THE FACE. 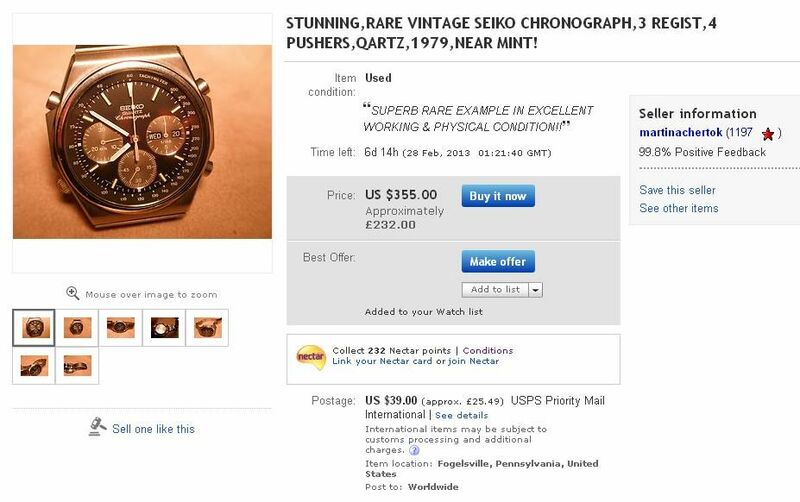 Zooming in on the seller's last photo, which showed the case-back the clearest, the watch appeared to have been fitted with its correct original case-back without any additional stampings, so one must assume the latter part of the description was a transcription error. all non working with faults and losses, ideal for spares or repairs, a great little restoration project, please see photos. I quite fancied the 7A38-7000 as a restoration project, but wasn't sure that I could have been bothered to do anything with the other three. Obviously I wasn't the only one to have seen it - and I ended up getting squeezed out of the frantic last minute snipe-fest. I guess it's a sign of the times, but lately would-be opportunist eBay sellers are frequently seen asking ever sillier prices for 7A38's. 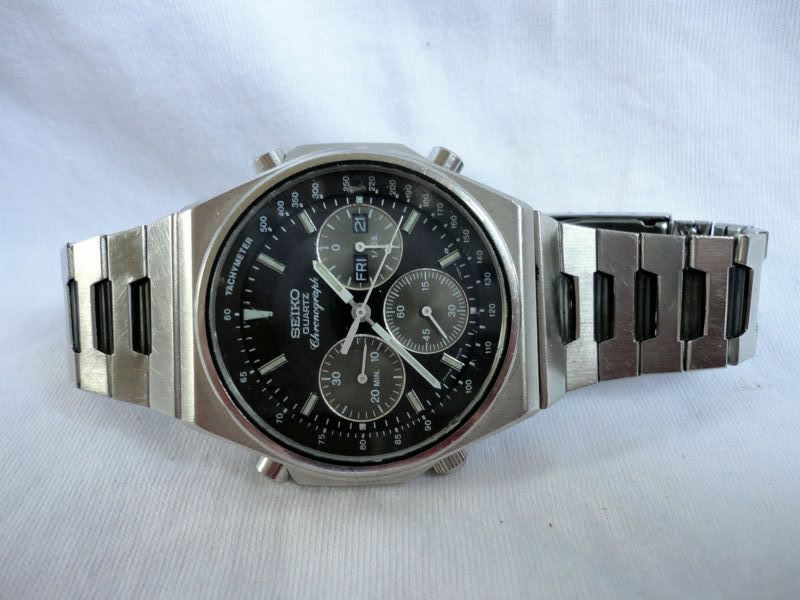 This stainless 7A38-7000 was listed overnight by a US seller. The auction title, beginning in STUNNING, ended in NEAR MINT! It's becoming apparent that I need to post some more photos of my own example, which genuinely is near mint, for comparison. The seller's description included the oft-abused phrase: P.S. Please see photographs as a part of a description. Indeed, before considering an offer, a prospective purchaser would do well to look closely at the photos - particularly certain aspects. 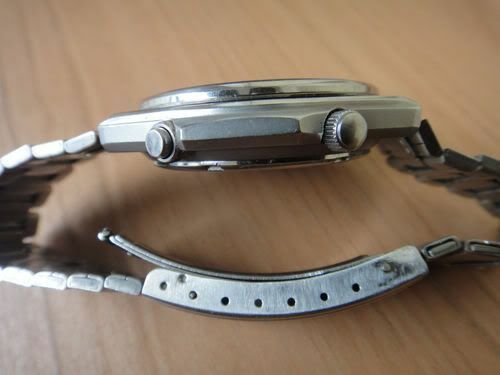 Note the amount of scuffing on the SQ clasp closer, and that the 4th bracelet link outside the clasp has been stretched open badly. 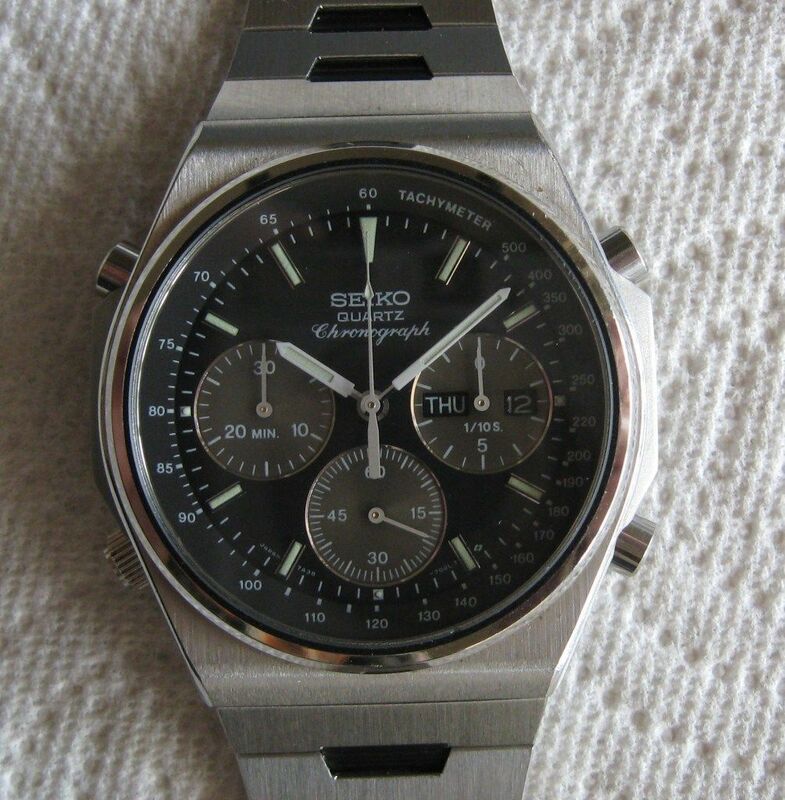 In truth, although looking fairly tidy from the front (there is noticeable scuffing to the bezel), this 7A38-7000 is no better than 'average'. The over-ambitious asking price of $355 remains the same though. It'll be interesting to see what it actually does sell for eventually. Edit: Or at least it did until the 4th re-listing within a week, when the seller increased the Buy-it-Now price from $355 to $375. Took this in trade a few days ago but sure it will have a happier home elsewhere. 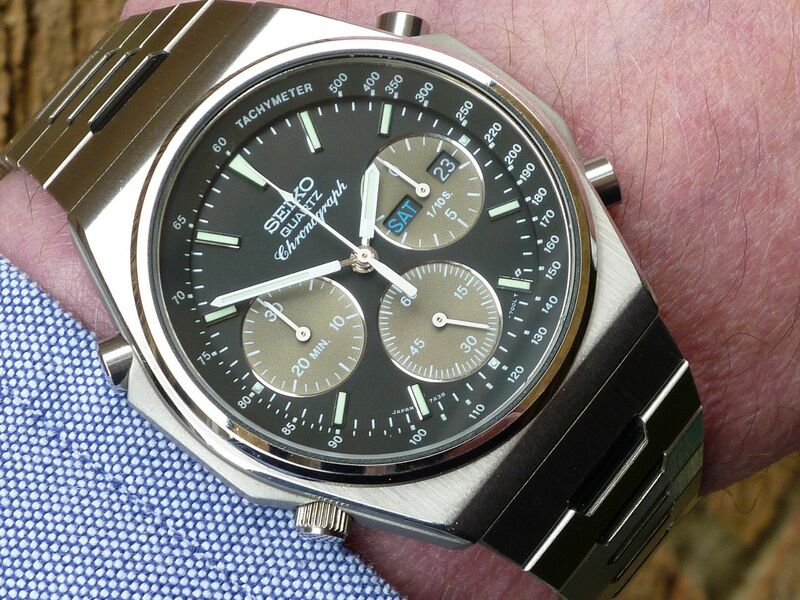 Strong running 'SQ' Quartz movement day/date chronograph which would make a great daily wearer. 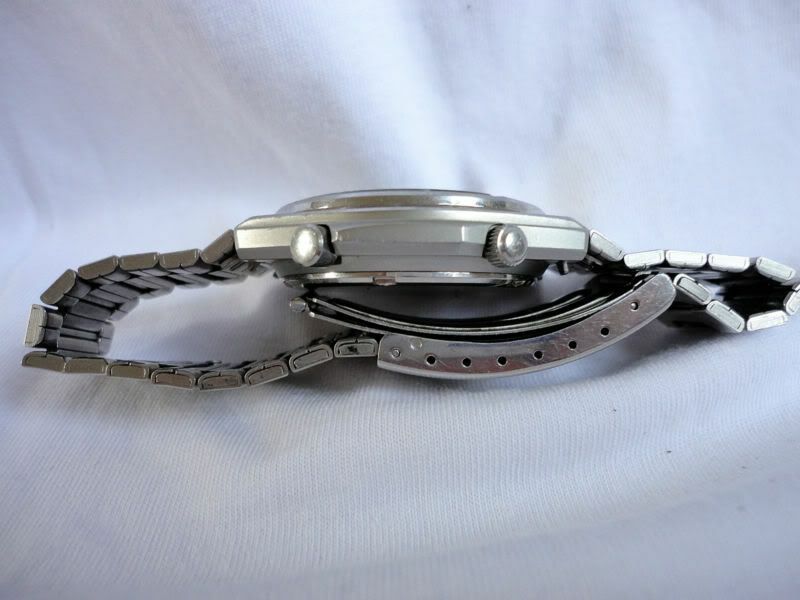 Steel case and bracelet with black 'interlinks'. New crystal and decent condition for its age. 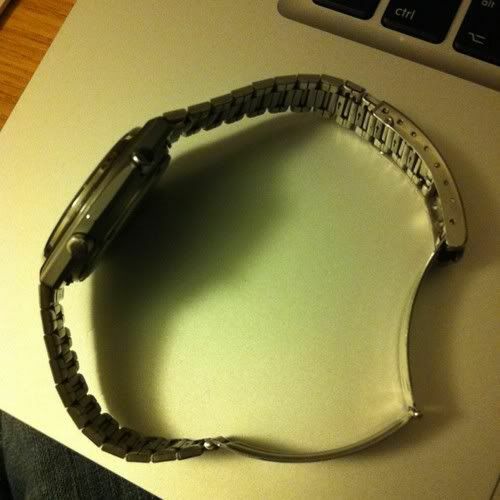 Only issue is that the chrono starts and stops fine, but doesn't currently reset - easy fix for someone I'm sure. Phone pics below but can obviously take more. Given the reset issue, £70. 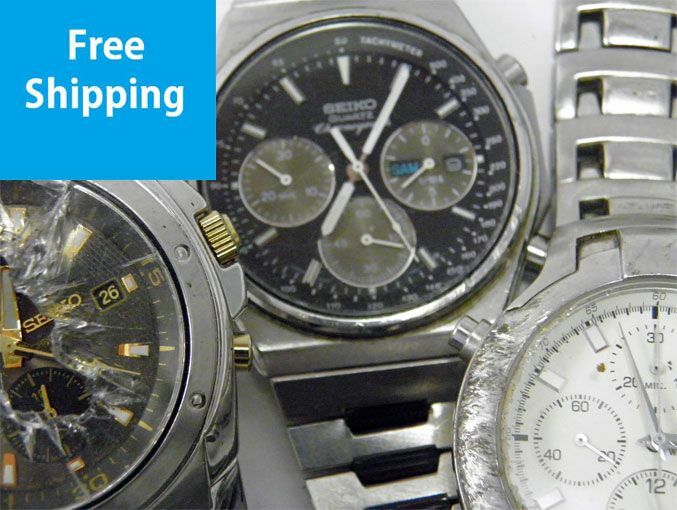 Could take something in trade but trying to cut down number of watches so something else preferred - try me! 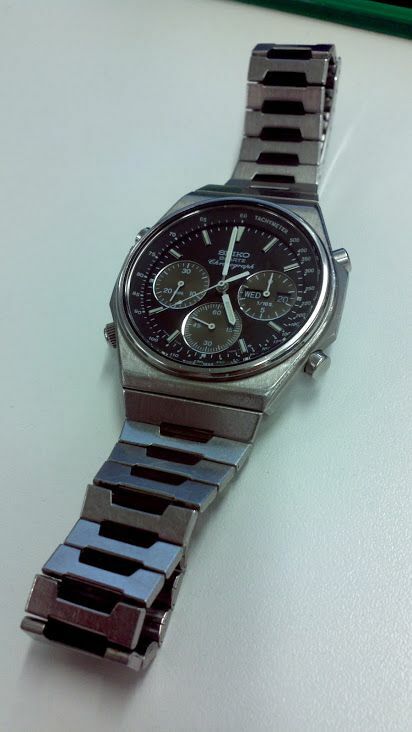 There was another 7A38-7000 on TZ-UK last month - it could well be the same watch with the crystal replaced. Indeed it very likely is. 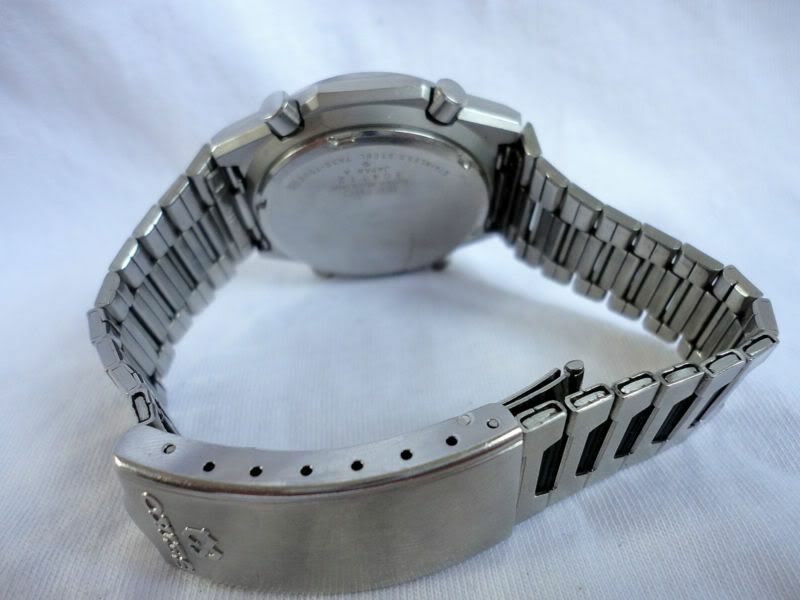 Note the nick on the R.H. side of the watch case, barely visible in the more recent seller's photos - almost cropped out of the second. These 3 are ones I have picked up over the years (boot sales, antiques markets etc. ), and been stuck in the drawer and never got around to doing anything with. I'm busy getting some of my more interesting projects sorted out now, so the chances are even more likely that I'll never get around to sorting these. Maybe you have some time? 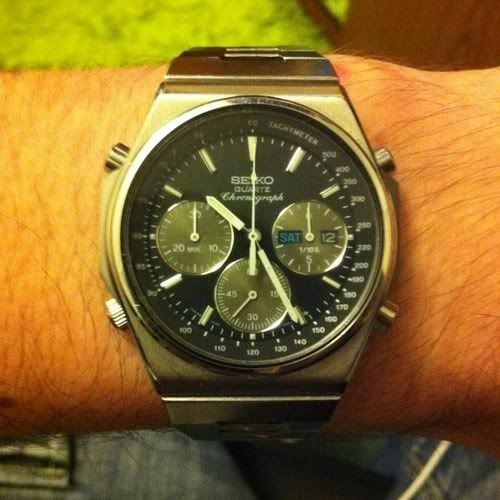 Second is a Seiko 7A38 chrono model ref 7A38-7000. Well used example, and definitely needs a new glass. 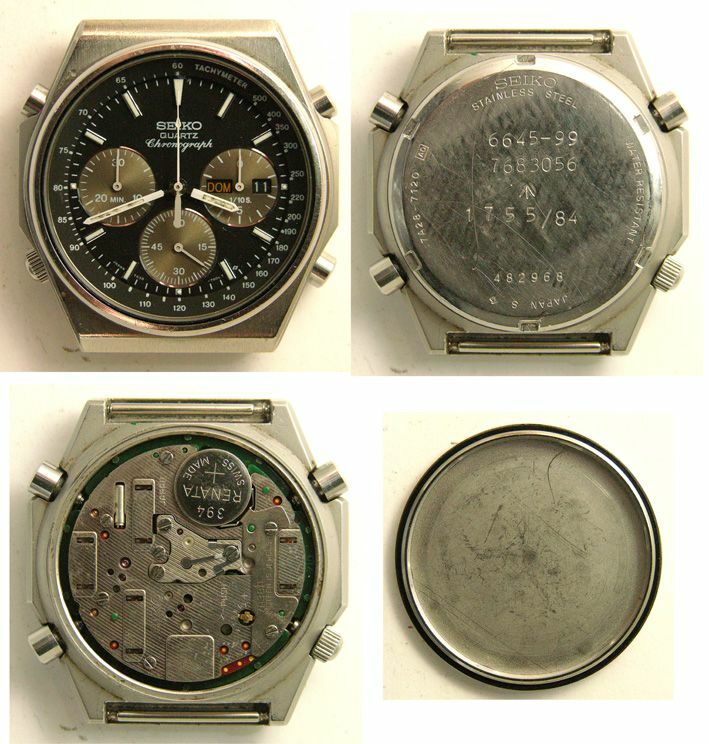 Movement runs but buttons to operate chrono are not operating, apart from the start/stop one (top right). Movement looks clean so it's probably a case of disassembly of case and pushers and cleaning everything. Original bracelet is a big bonus on this one. Price is also £58 delivered in the UK. if only for the record number of (7-day) auction listings ended early by the seller, only to be subsequently re-listed a few hours later. 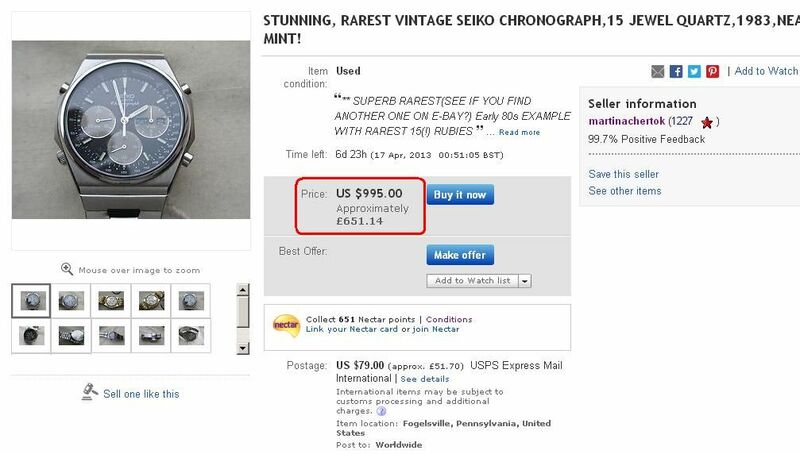 At the time of writing, the price on their 15th listing for this watch in 7 days has been hiked to $690. I don't expect it will end there. 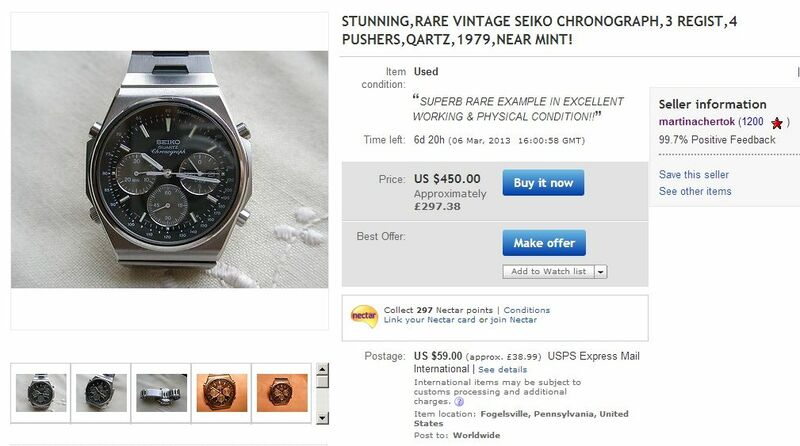 this 7A38-7000 (exactly the same watch, s/n 3O2564 which sold on February 1st for $157.50) was sold on 13th March - for $850 !! 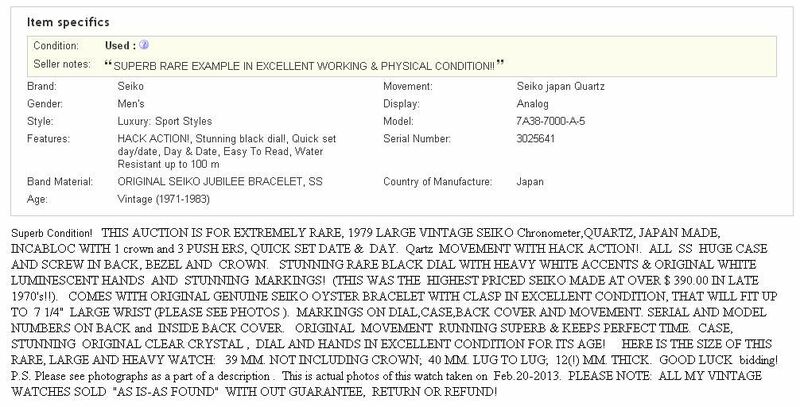 Edit: It now appears that this 7A38-7000 didn't actually 'sell', because a couple of hours later it was back on eBay for the 35th time. One month on and there's still no end in sight for this sorry saga. The 7A38-7000 remains unsold, despite the seller's manic efforts. The auction was allowed to run for a couple of days; bidding had reached $102.50, before as per usual practice it was ended early. That listing was live for approximately 1 hour 45 minutes, before it was pulled. During that time 29 people viewed it, but surprisingly nobody was tempted to hit the Buy-it-Now button. 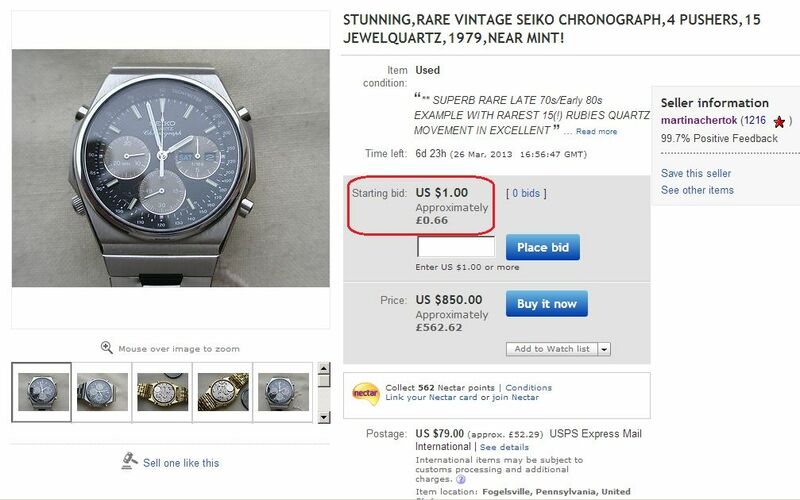 It still would have represented a reasonable profit on the $157.50 the seller had paid. 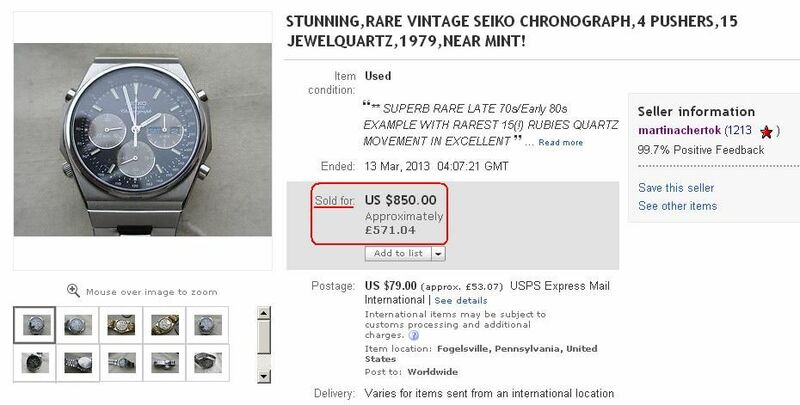 So bearing in mind that the watch previously went unsold, despite multiple re-listings at $790 and $850 (let alone one @ $199) the seller further increased their pie-in-the-sky Buy-it-Now asking price from $890 to $895 and then to a record all-time high of $995 !! 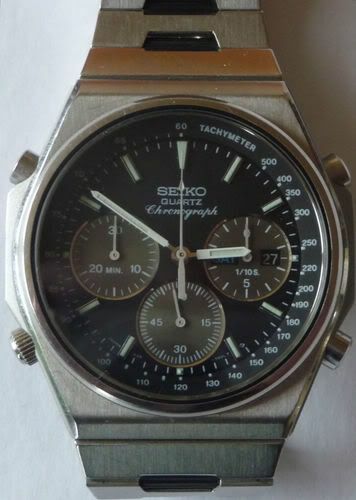 An up-to-date summary for all the ended eBay listings for this 7A38-7000 can be found at the top of page 4 of the other thread. 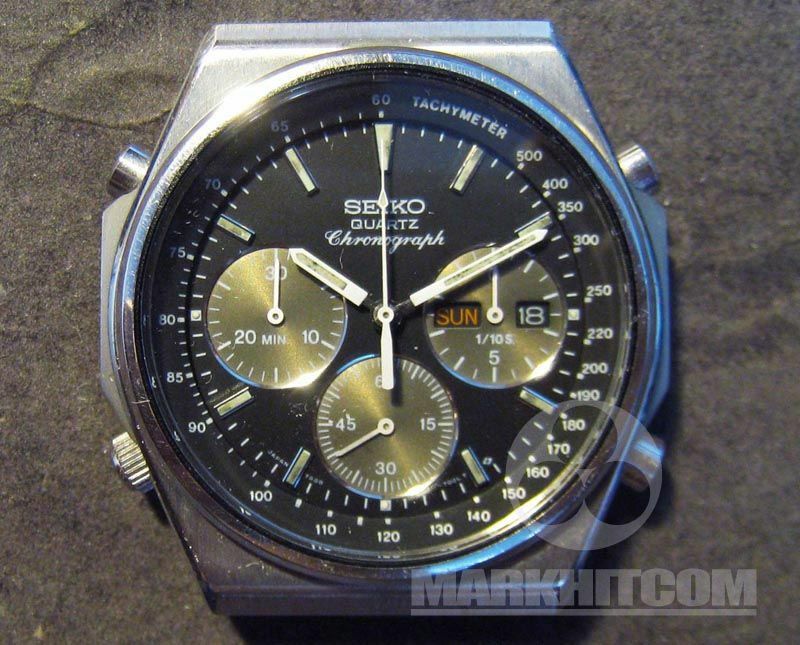 The watch itself was mostly correct and original, but in his typical couldn't-care-less manner, he had mixed up the case-back of the 7A38-7000 with that of re-plated gold-tone 7A38-7289 he was listing at the same time - hence the incorrect model code in the title. I've seen a couple of other instances recently where I'm not sure that Goofbid's eBay Seller History tool is to be completely trusted. In this particular case of Martinachertok's 7A38-7000, it wasn't too far out at $323.70. I've since found that it actually sold for $330.